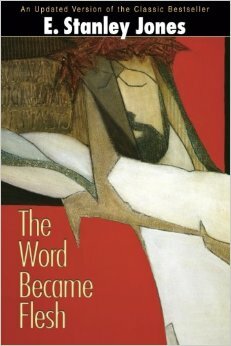 This updated classic contains 364 daily devotionals revolving around “And the Word became flesh” (John 1:14) and its meaning for a transformed life. From his wide experience with world religions and contact with believers across the globe, E. Stanley Jones explains the difference between Christianity (in which God reaches toward humanity through Jesus Christ) and other faiths (in which humanity reaches toward God in various ways). Includes: Daily scripture reading, commentary, a prayer and affirmation for each day. Discussion guide for 52 weeks with several questions for reflection and conversation Scripture index Topical index E. Stanley Jones (1884-1973) was perhaps the most widely known and admired Christian evangelist of his time. He spent a lifetime in missionary work in India, Japan, and other countries, and touched many more lives through his writings.